This is a website dedicated to sea kayak touring in Greece, providing information to sea kayaking enthusiasts, and telling the stories of paddling trips in the Greek islands. 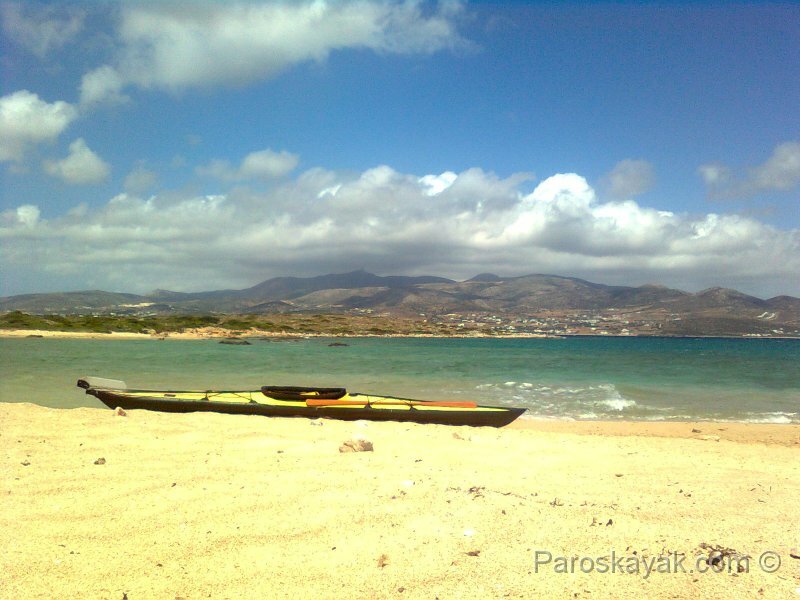 We are a small group of paddlers who love to explore the Greek coastline by sea kayaks. We are not affiliated with commercial or guided tours in any way. Paros island is part of the Cyclades archipelago in Greece. Sea kayaking in Greece is a great way to explore the local coves and islands. Paddling around Paros island is an exhilarating experience. We usually paddle folding kayaks such as the Feathercraft Klondike, the Folbot Greenland II, the Folbot Cooper, and the Feathercraft Khatsalano. Although we enjoy local trips around Paros and Antiparos islands, longer expeditions are another venture of our group. Expeditions involve five to seven day island hopping and numerous open water crossings. For more information and photographs of our trips, check the Expeditions section of our website. We look forward to hearing from you about past or upcoming sea kayaking adventures in Greece.